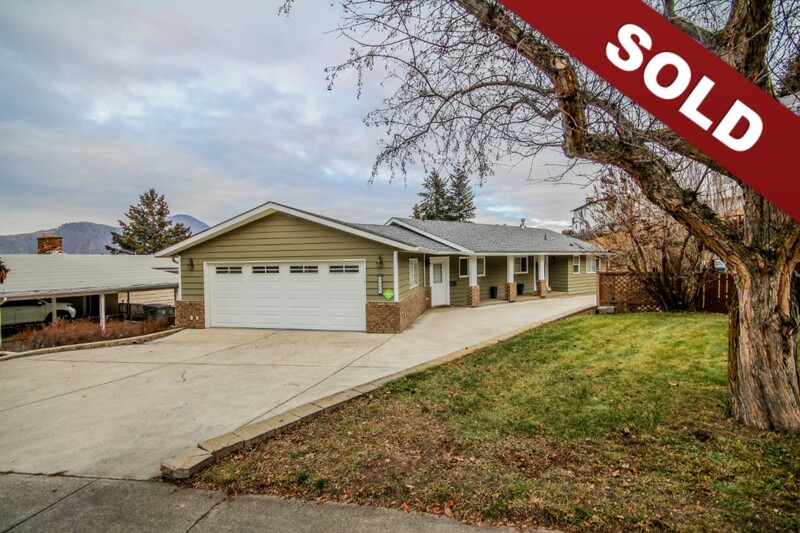 New Listing: 1061 Pyramid Court, Sahali, Kamloops, BC $664,800. Centrally located family home with beautifully landscaped yard featuring inground pool, 1 year old hot tub and waterfall. This home features an open floor plan on the main floor with views overlooking the yard, pool and hillside. There are 3 bedrooms on the main floor and 2 full bathrooms including a 3 piece master ensuite. Off of the living room there is a large covered deck and second deck that leads to the private fully fenced yard. The basement level has tons of room for the entire family. There is a large family room that leads to the pool area and a huge games room that could also be converted to a workshop. There is a 4th bedroom, 3 piece bathroom, tons of storage and a laundry room. Other extras in this home include a huge 2 car garage that is 24×24, games room under the garage is the same size, hot water tank 2017, central a/c and updated furnace, central vacuum, updated kitchen and bathrooms. Located in a cul-de-sac minutes to downtown Kamloops, uptown shopping, schools, transportation. Flexible possession possible and easy to show.